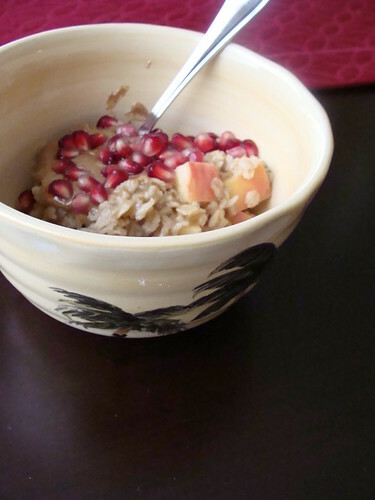 Old fashion oats, apple, cinnamon, maple syrup and pomegranates! The POM arils are like little explosions of goodness when I bite down, and adds a great crunch, too! 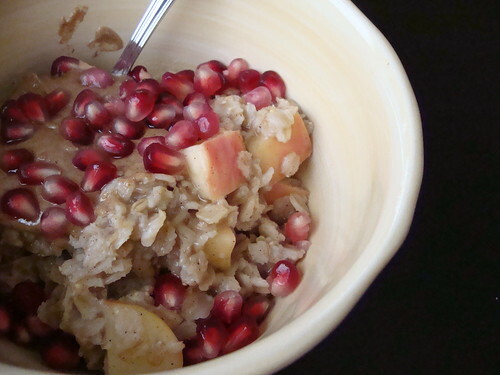 I am off to write my recipe for my quinoa and pomegranate dish that I featured yesterday – see you soon!